A mum’s decision to breastfeed her hungry child in her car while it was parked in a no-stopping zone, has left her with a $160 parking ticket and a nearly-towed vehicle. But now Guillermina Rodriguez, from New York, is calling out the traffic agent for punishing her for attending to her wailing infant. “I understand it’s the law, but seriously, what am I supposed to do, let the child scream?” Guillermina told NY Daily News. The 30-year-old was dropping off her husband near Times Square for a dental appointment when her hungry three-month-old infant began crying. Struggling to find a parking spot in the bustling city centre, Guillermina pulled her Toyota Suburban into a commercial zone, then hopped into the back seat to breastfeed her daughter, Eliana Torres. The mum says she had to pull over as she didn’t want to “double park” her car, and while she saw the no-stopping sign she knew she wasn’t going to be in the space too long. But it was only two to three minutes after she had pulled into the commercial zone, that Guillermina says an NYPD traffic agent arrived with a tow truck preparing to haul her vehicle away. The mum honked her car to alert the agent that someone was in the car. Despite seeing her nurse her child, Guillermina said the agent hit her with a hefty $160 ($115 USD) fine. "He looks inside, I’m showing him my breast, I’m breastfeeding the baby. He turned his head. He sees me but he still gives me the ticket,” Guillermina told the news outlet. Guillermina also took a video of the incident, showing her breastfeeding Eliana, and the tow truck in front of her Toyota. 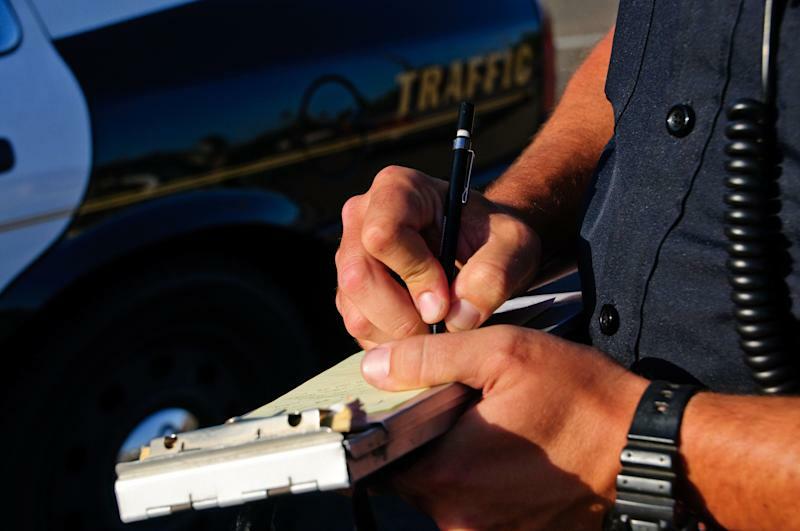 “I’m here, breastfeeding my child, and he still gave me a ticket. Yep. Breastfeeding my baby, and he still gave me a ticket. Very nice," she says in the video. Outraged by the fine that she believes is “unnecessary” and “insensitive,” Guillermina reached out to La Leche League, a nonprofit that encourages and advocates for breastfeeding mothers, and was later connected to breastfeeding counsellor Laura Beth Gilman. Laura says that as a good mum, Guillermina had no choice but to respond to her infant’s cries. “You’re genetically predisposed to respond to your baby’s cry. It’s supposed to make you crazy. You’re being a good mom if you respond,” Laura told NY Daily News. For this reason, Gilman says that traffic agents need to be better trained and treat these incidents like an emergency. Both Laura and Guillermina believe that the ticket should be thrown out. The department is reportedly looking into the matter.